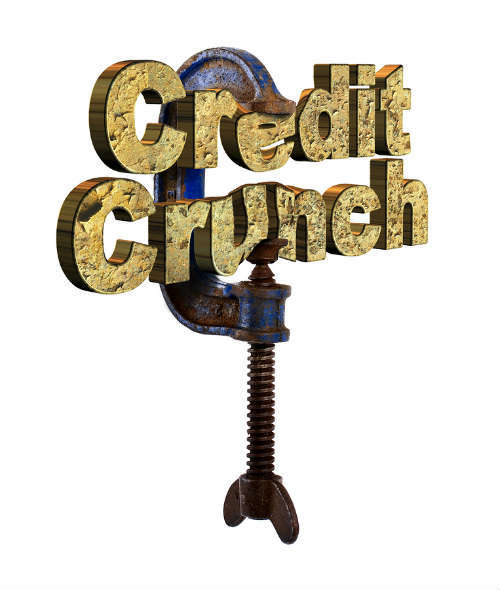 Q: How did the mortgage meltdown and wall street’s woes lead to the credit crunch? A: The economic crisis that initially began when sub-prime mortgages started unraveling in 2006 and 2007, became a full-scale financial meltdown in 2008, and continues today to have a huge impact on the overall economy, as well as on you and me. At its core: the crisis was about debt. Or “leverage” as they call it on Wall Street. Call it what you want: the simple fact is too many individuals and far too many institutions borrowed way more than they could afford to repay. People racked up credit card debt. They bought expensive cars. And, of course, they stretched for that loftiest of goals embodied in the American dream: a home. During the height of the real estate boom, it was common for cab drivers, teachers and others earning $40,000 or so to take out mortgages for $400,000 or more. As long as real estate values kept escalating, the party continued. When the credit cards got maxed out, people simply used the equity in their homes as collateral to get cash from banks. Voila! The credit card bills were paid once again. Consumers could go back to spending. The banks were satisfied because they were getting repaid, and the economy was humming along nicely. Everyone was happy. But you know the old saying: “What goes up must come down.” So it was with real estate. Starting around early 2007, house prices stopped rising, and people were no longer able to use their homes as piggy banks. All of a sudden when those credit card bills crept up, they couldn’t be paid off by tapping a home equity loan or a home equity line of credit. 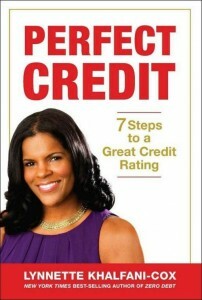 The first people to be hit were so-called “sub-prime” borrowers, those with less-than-perfect credit ratings. They saw the interest rates on their adjustable-rate mortgages shoot up, often causing their mortgage payments to skyrocket. Scores of borrowers struggled to keep up, but they simply couldn’t. Most had absolutely no savings. Plus, millions of people began receiving pink slips, as corporate America went through a wave of layoffs that endures to this day. Without a job and with no cash reserves, how can you pay your house note and other bills? So many cash-strapped homeowners went 30 days past due on their mortgages. Then those 30-day delinquencies turned into 60 or 90 days. Soon, a cascade of foreclosures rippled through the housing market. Who Is To Blame for The Financial Crisis? Needless to say, the consumer was not solely to blame in this whole mess. The financial community definitely played a critical role in creating the problem, and allowing it to persist. Banks were way too lax in extending credit, often making the riskiest loans to borrowers with the worst credit. Banks, brokerages and other investors also made the mistake of buying investments called mortgage-backed securities. These were essentially thousands, or hundreds of thousands of mortgages, all packaged together as one big investment. In the heyday of the real estate boom, mortgage-backed securities were big money makers. After all, their value was tied to the worth of rising home properties. Once the real estate crash happened, however, these investments went belly up. Finally, lenders, regulators and credit rating agencies such as Moody’s and Standard & Poor’s all should have been sounding the alarm bells about rising debt and credit delinquencies. Instead, they failed to accurately envision the very real possibility that a massive wave of consumers – including those with poor and good credit – might not be able to handle their overall crushing level of debt. But that’s precisely what happened in 2007 and 2008. Once homeowners began defaulting on their mortgages, and fewer people paid their credit card bills, student loans and other debts, banks started to feel the sting. The money that banks had relied upon – the money that consumers borrowed and were supposed to repay – simply wasn’t there. Before long, the financial crisis spread from individuals to institutions. In the financial world, it’s common for banks to lend money to each other at low interest rates. Usually, these are very short term loans; they typically get repaid as quickly as 24-hours, or about as long as one month. But by 2008, banks became leery of lending to each other, for two primary reasons. First, banks wanted to hoard their cash to protect themselves against future losses. Second, and most important, banks were terrified of making big loans in an uncertain environment. They feared that other banking institutions might fail to honor their debts, just like consumers did. Adding to the fear and worry, nobody knew exactly how many bad loans banks had made, or how many investments they had in toxic sub-prime mortgage debt. So just like that, the credit markets came to a grinding halt. Nobody was lending money to anybody. Period. It was one thing for a consumer credit crunch to take place, as it did during the summer and fall of 2007, when it was terribly difficult to get a mortgage loan. But when the credit crunch spread in 2008 to banks being unwilling or unable to make loans to each other, well that was another story. That corporate credit crunch proved to be too much stress on the system. The spread of the credit crunch to the corporate market – where even banks themselves couldn’t get a loan – marked a critical tipping point and the height of the financial crisis. In January 2008, Countrywide Financial Corp. just managed to avert complete disaster, by selling itself for $4 billion in stock to Bank of America. Without that deal, many feared that Countrywide, which had been suffering under the weight of bad mortgage loans, would have certainly collapsed. Before long, however, the fallout from the credit crunch and soured mortgage loans could not be contained. There was carnage on Wall Street, as centuries-old institutions failed or got bought out – some of them seemingly overnight. In a matter of months, three of America’s top five investment firms went under. Bear Stearns collapsed in March 2008, and was sold to JP Morgan Chase for the bargain-basement price of just $2 a share, a deal that valued Bear Stearns at less than $240 million. (That $2 per share price was later raised to $10 a share. But even that was small potatoes, since earlier in 2008 Bear Stearns’ stock had traded at $80 a share, and Bear Stearns had been worth $20 billion). Then in September 2008, two other major events rocked Wall Street. Lehman Brothers went bankrupt, after federal authorities refused to rescue the company. Soon after, Bank of America purchased the once-mighty brokerage house Merrill Lynch for about $50 billion in stock – less than half what Merrill was worth the prior year. At the peak of the crisis, when it appeared the entire financial system was on the verge of collapsing, the U.S. government got actively involved, stepping in with massive efforts to provide stability. Banks were allowed to borrow money easily, and at cheap rates, directly from the government. The government took over mortgage companies Fannie Mae and Freddie Mac, as well as insurance giant American International Group Inc. (AIG). Also, the government began more closely scrutinizing the health of banks and other financial institutions. This led the federal Office of Thrift Supervision in September 2008 to shut down the 119-year-old Washington Mutual Inc., which had been America’s largest savings and loan. Once again, JP Morgan Chase was a shrewd buyer, snapping up WaMu’s banking assets for a mere $1.9 billion. By October 2008, Congress passed a gigantic $700 billion financial rescue package, officially called the Emergency Economic Stabilization Act of 2008, to bail out Wall Street and to encourage banks to start making loans again. If all this wasn’t enough, the U.S. Federal Reserve and other government entities also launched coordinated fiscal and policy actions with governments around the globe to stop the growing financial crisis from being felt worldwide. Despite Greenspan’s proclamation, the financial crisis rages on. In late October 2009, commercial lender CIT Group Inc. became one of the latest high-profile casualties of the credit crunch. CIT had been one of America’s biggest providers of loans to small and medium-sized businesses. But the 101-year-old company was forced into Chapter 11 bankruptcy – the fifth largest bankruptcy in U.S. history – after CIT’s own lenders refused to extend it more credit and CIT’s financi ng evaporated. Unfortunately, CIT Group wasn’t alone in its woes. In November 2009, another lender to small businesses, Advanta, also filed for Chapter 11 bankruptcy protection. Unfortunately, there were more than 1.4 million consumer and business bankruptcy filings in 2009. So the bankruptcy problem and the credit crunch is expected to last for years to come.